ByteScout team launched new online applications, don’t hesitate to check! Scripts are relatively fast even though the mechanics of engines are complicated and require a three-step process: 1) the engine reads the script (called parsing), 2) the script is then converted to the machine language (called compiling), and 3) the machine code runs. Learning JS basics open three major benefits for programmers. The first is its simplicity, making it a relatively easy language to learn, master and implement. The second is its full integration with HTML/CSS. Lastly, it is enabled by default in most major browsers. We enjoy creating new applications’ prototypes and design. We’d like to offer the best tools for our developers. If you feel it is useful for you, please leave us some feedback. 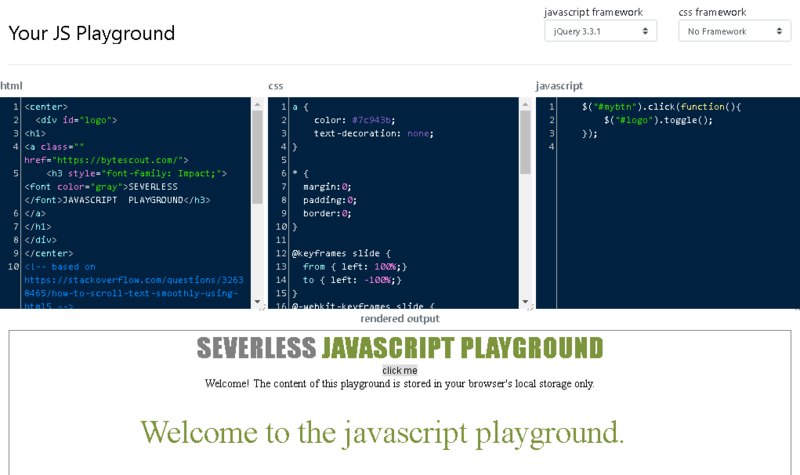 Enjoy ByteScout free JS playground and other tools. Even more are coming soon!